A new animated holiday comedy based on the first Christmas is opening in theaters on November 17. Sony Pictures Animation is releasing a new animated film based on the story of the first Christmas from an animal’s point of view. It features an all-star cast of voices including Oprah Winfrey, Keegan-Michael Key, Aidy Bryant, Gina Rodriguez and Zachary Levi. As Sony describes, the story surrounds a small but brave donkey named Bo who is yearning for life beyond his usual daily grind at the village mill. One day, he manages to break free and goes on the adventure of his dreams. Along the way, he teams up with a variety of other animals, such as Ruth, a sheep who has lost her flock, and Dave, a dove with lofty aspirations. 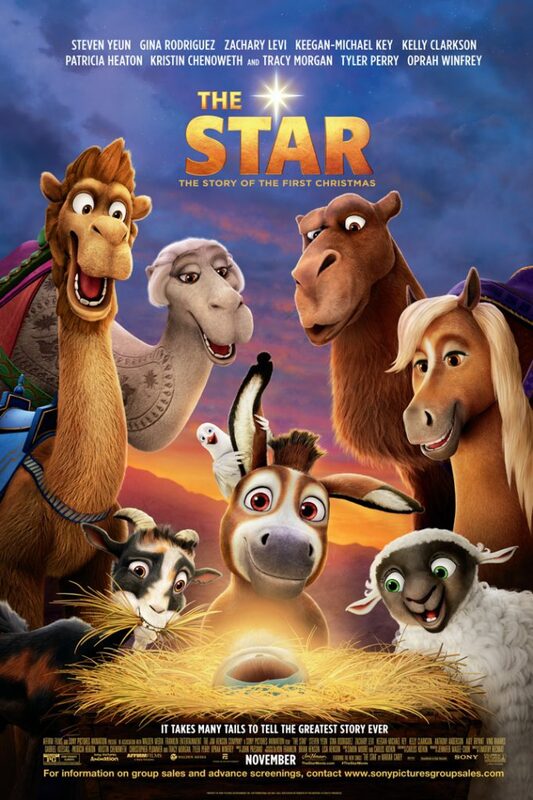 Along with three wise-cracking camels and a gaggle of eccentric stable animals, the group embarks on a journey that finds them following a Star right into the heart of the greatest story ever told – the first Christmas. When they discover that Mary and Joseph’s child is in danger, the animals band together to fight for His life. “Parents need to know that The Star is an animated holiday comedy with a talented, diverse voice cast,” reports CommonSense Media. The movie’s website features a variety of activities for children including coloring pages, connect-the-dots, mazes, and even printable Christmas cards.